When the St. Louis Cardinals sent consensus No. 3 MLB prospect Oscar Taveras to the minors, one of the game’s top young guns left the list of players breaking camp with the big league club. Spring training is a time for position battles and breakout performances for baseball’s best young players, but that doesn’t mean they are going to open the season on a Major League roster. Between prospect ratings by Baseball Prospectus, Baseball America, and the official MLB list, it’s possible to gather a consensus of the top prospects in the game. Whether they are slotted for a real impact on the game this year is a wholly different story. Here are the top 10 MLB prospects one can expect to make hay in the big leagues in 2014. One thing is certain about Nick Castellanos: he’ll have an impact on the Detroit Tigers one way or another. Following the Prince Fielder trade to Texas, Miguel Cabrera moved to the other side of the diamond and will play first base in 2014. 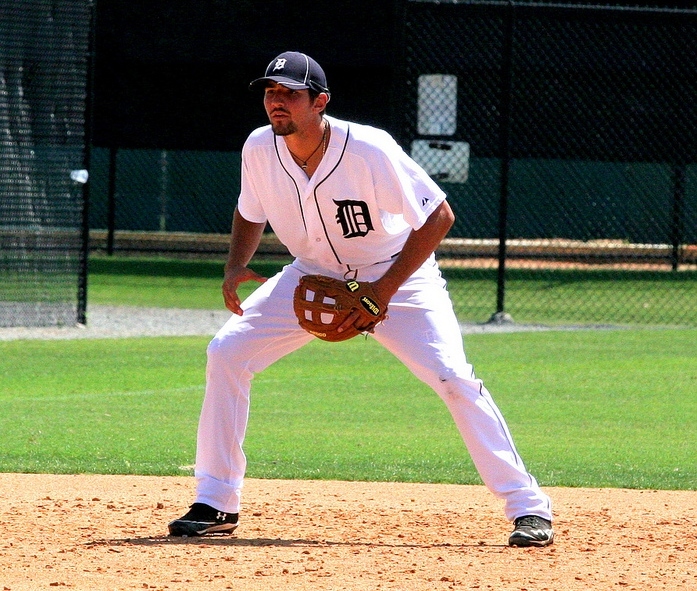 Castellanos will start at the hot corner for the Tigers out of the gate, meaning the No. 15 MLB prospect has plenty on his plate. That assignment gets even tougher with the terrible injury report Jose Iglesias received in spring training. Gone is the expansive range of Iglesias on the left side of the infield, as is the immense power of Fielder backing up Cabrera. Through 15 game in spring training, Castellanos was hitting close to .400 with 16 RBI. Though that’s impressive, the key to Castellanos’s success will be pacing himself and, for the organization and fan base, tempering expectations for the 22-year-old. After suffering from shoulder bursitis early in spring training, No. 6 MLB prospect Taijuan Walker is expected to start the season for the Mariners in the starting rotation. The Shreveport, Louisiana, native made his debut in 2013 for the big league club and impressed scouts with his stuff and athleticism. Walker is making progress and throwing bullpens in his comeback from shoulder bursitis. Next up is simulated game action. If the big righthander progresses without any setbacks, he’ll be in Seattle ready to make an impact on the new-look Mariners early in 2014. When a player spends spring training pummeling the baseball, fans of lackluster teams begin the campaign to see the youngster in a big league uniform. Javier Baez, MLB’s No. 7 prospect, is doing just that in Chicago Cubs camp. In a Cactus League game against the Rockies, Baez hit a bomb that measured around 450 feet for his fifth spring home run. 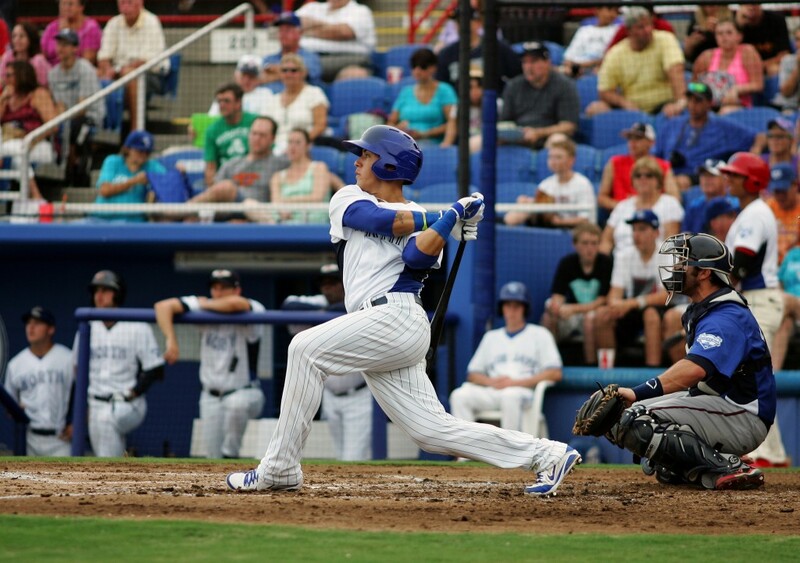 The rookie’s assault on minor league pitching in 2013 left him with 37 home runs at the end of the year. What’s stopping him from joining the Cubs on the first day of the season? Apparently, the organization wants to see Baez do damage in AAA ball before he takes the field at Wrigley. Another issue is his position: Starlin Castro plays shortstop for the Cubs, so Baez will need to adjust to second base. If Baez continues hitting this way, the Cubs may be forced to deal with the rookie’s errors so they can get his mashing bat in the lineup. Consensus No. 2 MLB prospect Xander Bogaerts has already his made his impact on the Red Sox in the field and at the plate with his late-season performance in 2013. Only his lack of big league experience qualifies him as a rookie. 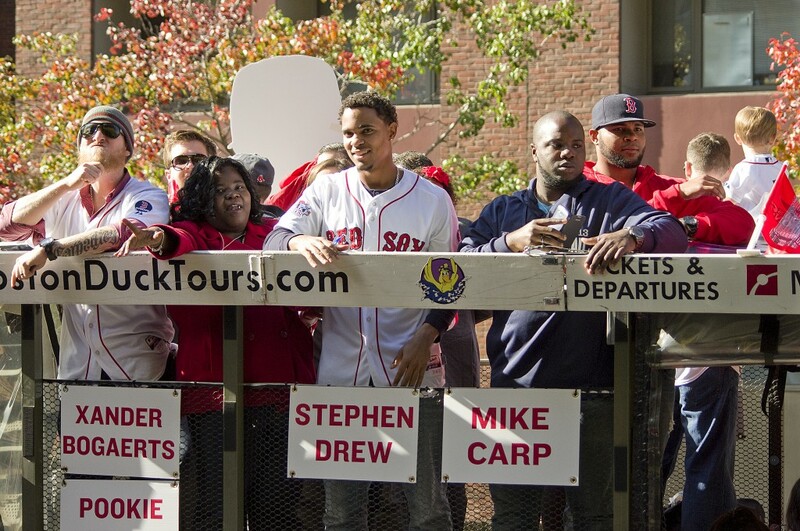 Otherwise, there is no question Bogaerts will make his presence felt as the starting shortstop for Boston in 2014. Through 34 at-bats in spring training, Bogaerts has struggled mightily with a .176 batting average and putrid .324 slugging percentage. Being the lauded prospect and being the go-to guy are very different roles, but the Red Sox are counting on the 21-year-old phenom for major league production. It’s why the defending champs decided to let 2013 Stephen Drew walk. MLB’s No. 5 prospect (Baseball Prospectus No. 9) was expected to head to the minor leagues to start 2014, but the injury to Arizona Diamondbacks starter Patrick Corbin opens up a spot in the rotation. D-Backs Manager Kirk Gibson has a tough decision to make with Corbin expected to miss most of the 2014 season. Bradley was hit hard and often in a March 21 exhibition game against Team Australia in Sydney, where the Diamondbacks will open the season against the Los Angeles Dodgers. Nonetheless, Bradley’s track record in the minors make him a legit candidate to make the Arizona club in 2014. The big righty features a blistering fastball in the mid-to-upper 90s as well as a nasty curve. When No. 9 MLB prospect Kris Bryant cracked a home run in his first spring at bat, the hype got a little more intense. The No. 1 Cubs draft pick in 2013 plays third base and is expected to start in the minor leagues in 2014. As a team out of contention the day the season begins, the Cubs have much more leeway with their prospects than MLB contenders. Bryant can work his way through Triple A and land on the big league club later in the summer if he continues to live up to his promise. There’s plenty for Cubs fans to like about the farm system. Cleveland included Francisco Lindor in its first round of spring training cuts, but the 20-year-old shortstop is on the short list for call-ups should Asdrubal Cabrera struggle in 2014. Lindor is the No. 10 prospect according to MLB and No. 6 on the Baseball Prospectus list. Still, at just 20 years old, the native of Puerto Rico is a defensive whiz who has shown he can hit for average if not a whole lot of power. In the classic conception of shortstop, that profile works just fine for most clubs. Cleveland fans should see Lindor some time in the summer, but injury and/or ineffectiveness for Cabrera will accelerate the process. The top catching prospect and the No. 22 overall prospect according to MLB will have an instant impact on the Mets team in 2014. 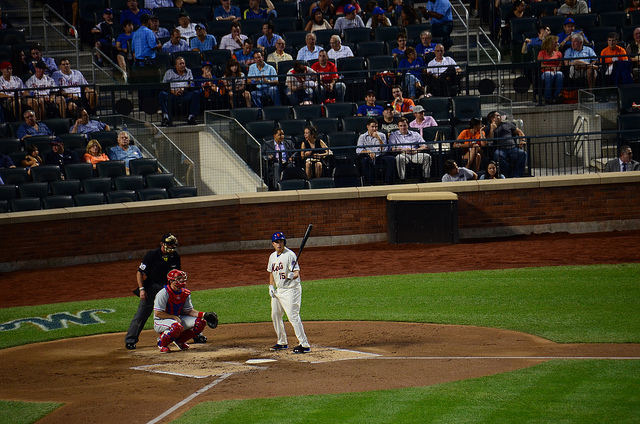 Set to man home plate for the Amazin’s, d’Arnaud got used to the pitching staff during his 2013 call-up. Extensive work in spring training has made the 25-year-old more comfortable on defense, but the questions about his offensive ability remain. D’Arnaud hit .202 in 2013 for the Mets and is faring even worse in spring training 2014. It will be awkward trying to assume everyday catching duties while working on his swing, but Mets fans should support the rookie in his first full season. Though MLB rankings put Kevin Gausman at No. 20 among all prospects, Baseball Prospectus slots him at No. 10. 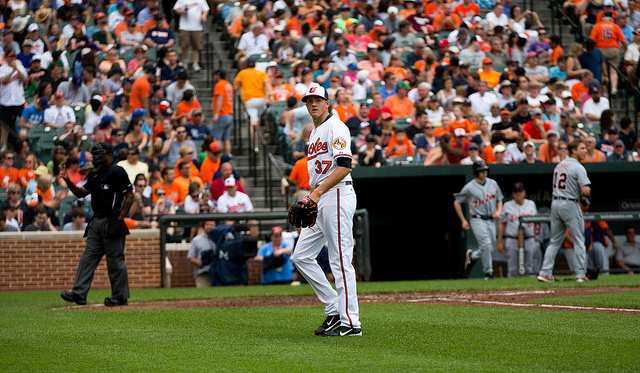 With fellow Orioles phenom Dylan Bundy recovering from Tommy John surgery, Gausman will likely fit into Baltimore’s plans soon in 2014. Many writers consider Gausman worthy of a spot already following his spring training performance in 2014. After the acquisition of Ubaldo Jimenez, the Orioles rotation is full, but that doesn’t mean a struggling starter won’t get bumped by Gausman. Orioles fans will likely begin the push for Gausman at the first signs of weakness among starters. Can a seasoned pro from Japan be called a prospect in the United States? Baseball America considers 25-year-old Masahiro Tanaka the No. 5 MLB prospect going into the 2014 season, making it the first time anyone earning over $20 million a year (or anything close) wore such a label. 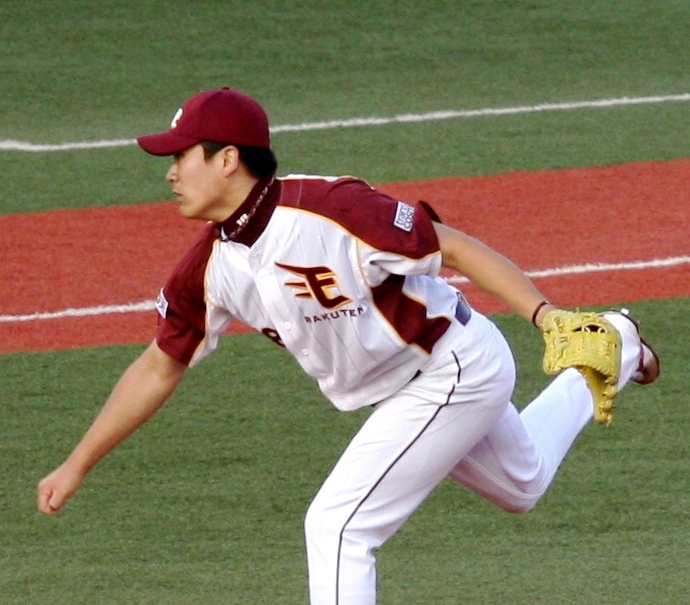 Tanaka catapulted to international fame after leaving the Rakuten Golden Eagles and opting for free agency in 2013. The New York Yankees pounced on the star right-hander, but he has yet to throw a pitch in a regular season game. Until his New York debut in the 2014 MLB regular season, Tanaka will remain a prospect. The Japanese ace showed he can dominate the Braves and other lineups in spring training while Manager Joe Girardi and other Yankees clubhouse have remarked on Tanaka’s poise. He’ll need it pitching in the high-pressure American League East in his first season.